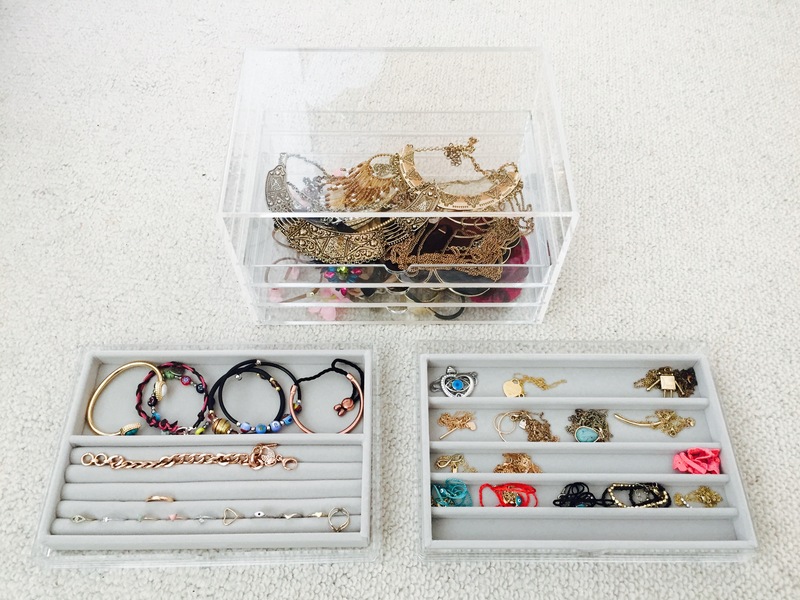 Having very recently moved into my new flat in London, I thought it was a good time for me to re-organise my jewellery storage unit! I don’t know about you, but I love picking up bits and bobs of dainty pieces of jewellery everywhere I go, I simply cannot resist it! But at university my jewellery collection has always been splattered across my room and I found it difficult to find things that I needed. I decided to venture out to a MUJI store to buy a storage unit to organise my rings, bracelets and necklaces. 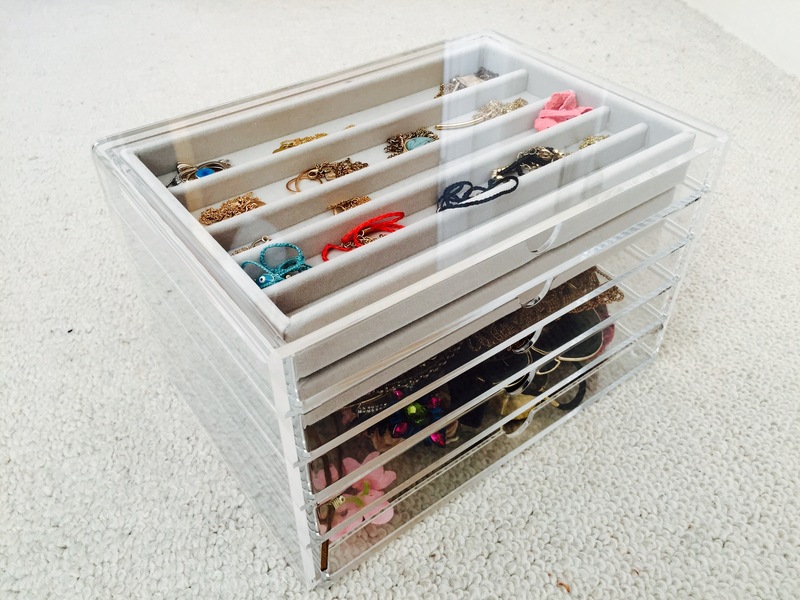 I ended up buying the five drawers acrylic box and two jewellery trays, which fits perfectly into the acrylic box. I love how neat everything looks now, and more importantly I am able to keep everything in one place, which will save me a lot of time when I’m getting ready to go out. It’s also super easy to clean. 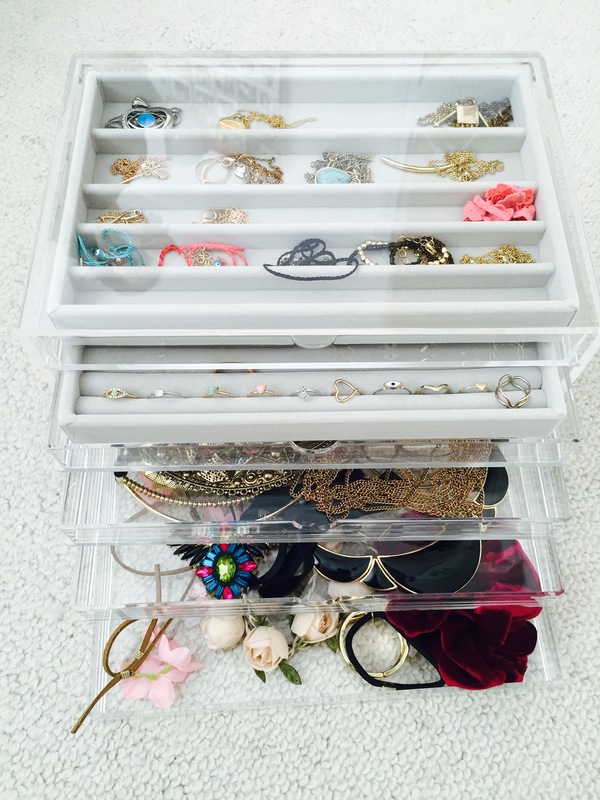 The drawers ensure that your jewellery doesn’t get dusty and it also takes up so little space which is always a plus! Especially if you live in a tiny room in London! 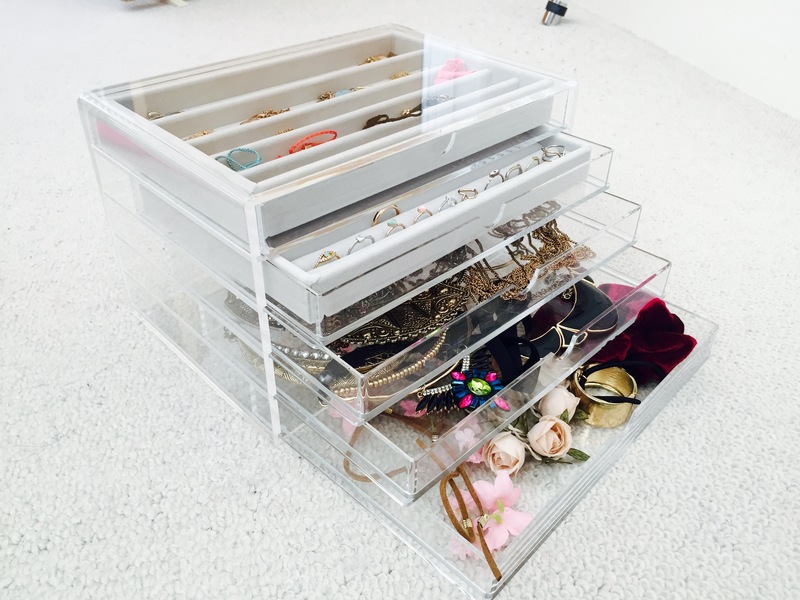 The jewellery trays are perfect for storing smaller items and ensures that your necklaces don’t get tangled up! I absolutely despise having to spend ages detangling them. Overall I believe it was a great investment and now everything is kept neat and tidy!